The centrally located black granite boulder with the names of the fallen is the focal point of the Memorial. 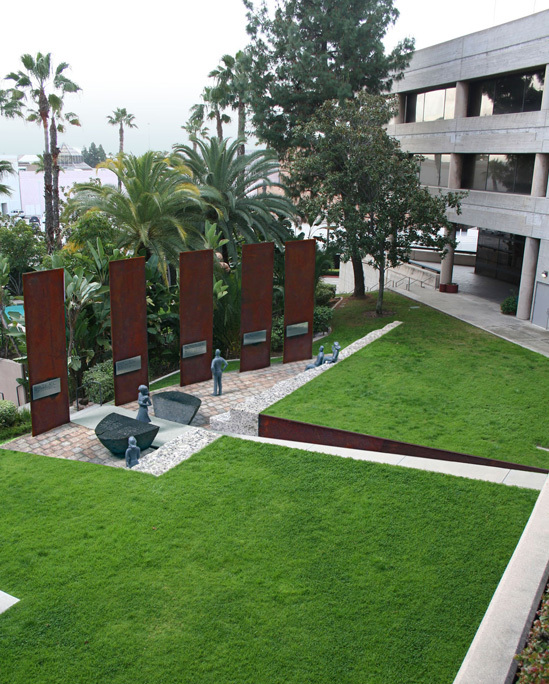 In order to properly honor their memories, it is important that we, as participants in the Memorial be made aware of the experience of these veterans. I propose to do this by offering portions of letters sent home from active duty service members. These letters would be chosen for their portrayal of the experience of being in harm’s way for extended periods of time while in service to our country. It is this voice that comes from the person who was actually living the experience that brings power and meaning to the Memorial. There is no mediator or history book getting in the way. The letters should be universal, and personal. These letters would be printed on stainless steel "tablets" bolted to five rusted steel plates 17 feet high. The use of rusted steel plate is a conscious choice for me. Its warm color and visual texture is at the same time cold and hard; a curious mixture of antithetical qualities which brings additional depth of content to the Memorial. Below are the "place holders." 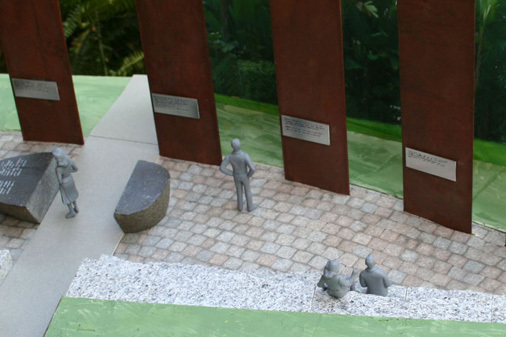 They are intended to illustrate my concept for the memorial. 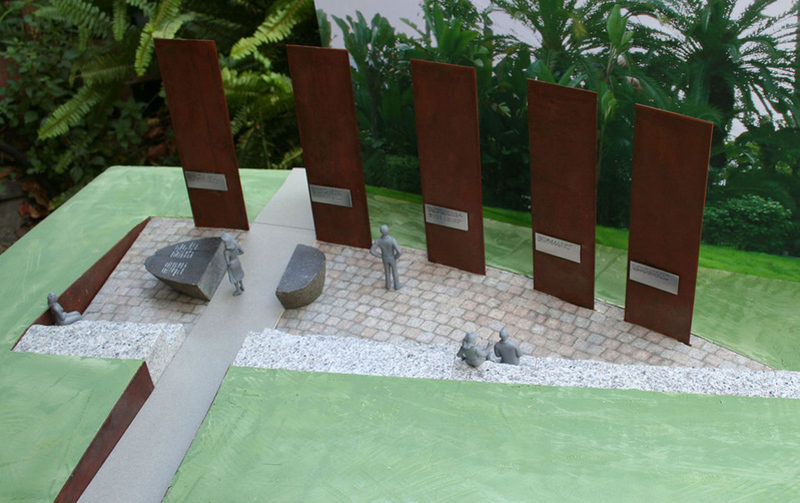 The numbers represent the monolith on which they will they be placed. past the time when we feel like quitting. many treats such as you sent. cake and candy were like gold. till he’s actually under fire. went to sleep that first night.